When using Azure you can either stop or stop a Virtual Machine. 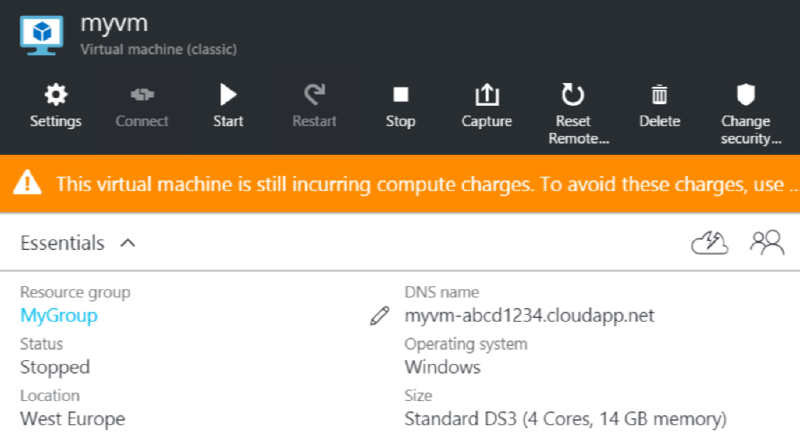 When stopping a VM the OS in the VM is stopped and the VM services are unavailable, but the VM continues to reserve the compute and network resources that Azure provisioned. However, when you stop (deallocate) a VM you not only stop the VM’s OS, you also free up the hardware and network resources Azure previously provisioned for it (a process called deallocation). First up. There are several ways to automate this is, I prefer the option where I manually start my VM and decentralize the shutdown process using the Windows Task Scheduler. 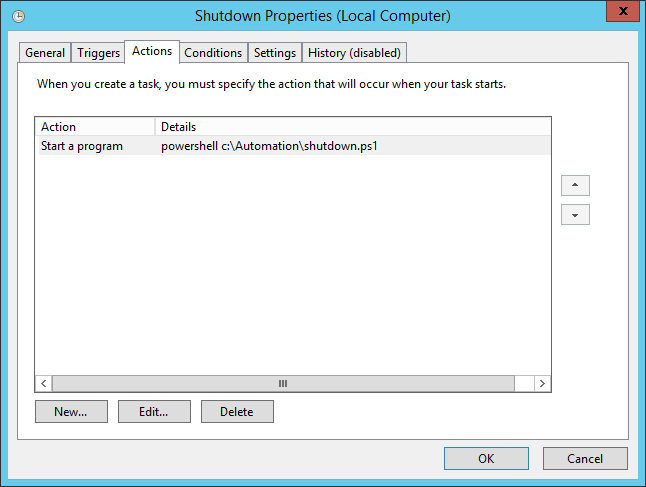 If I need a bit more powerful option I use the runbook Assert-AutoShutdownSchedule. This guide will however only cover the basics when using PowerShell and Task Scheduler. So you've shut the VM down? This virtual machine is still incurring compute charges. To avoid these charges, use the portal to stop the virtual machine. 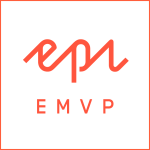 You'll need to install this on the VM but I recommend you to install it on your dev/work-box as well. 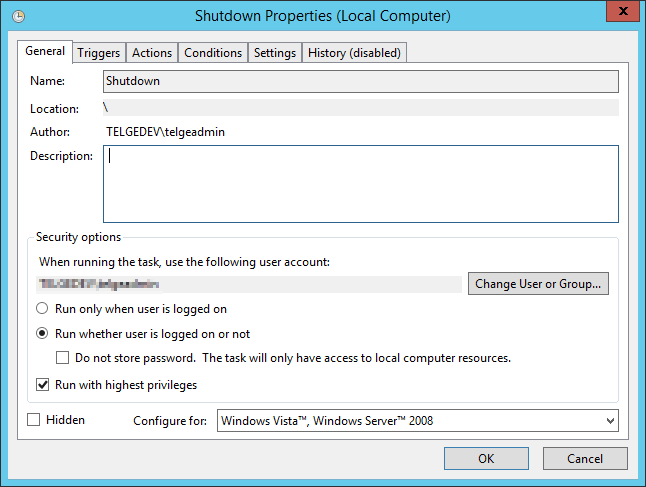 This should take you to an url like https://manage.windowsazure.com/publishsettings/index?client=powershell, if you aren't logged in you'll need to logon to a account with access to the VM. If the VM is running and all went well you should get the the status OK Started ReadyRole. Please note that this is a pretty harsh way to turn off the VM but at the moment it is the only legit way. When checking the VM from your local box the status should now be OK Stopped StoppedDeallocated. 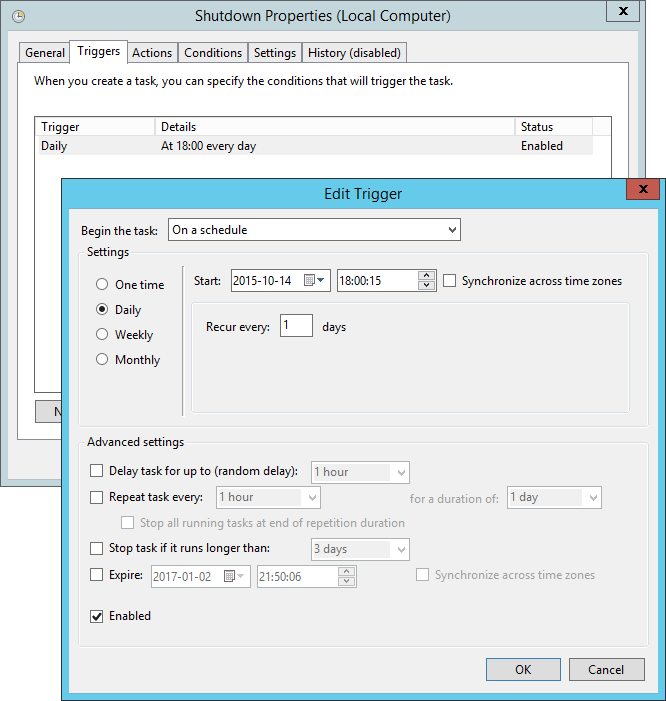 In order to automate this script I use the built-in Task Scheduler in Windows. 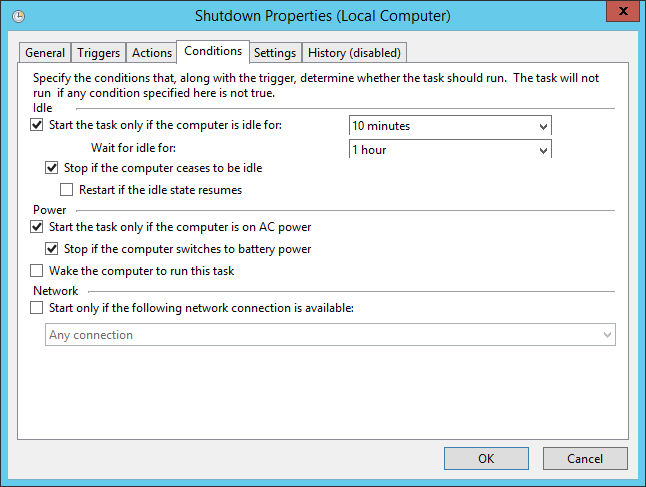 The most important part when fine tuning the shutdown is in the Conditions tab, to prevent the computer from shutting down if you are working on it configure the idle options as you prefer.